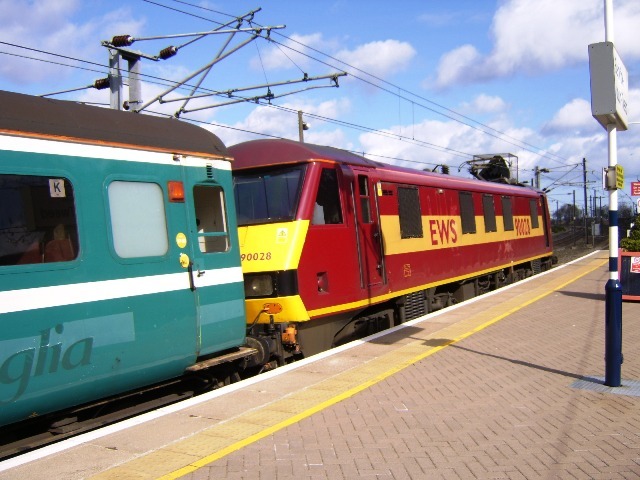 During the 30 year history of the class 90s many charters, railtours, excursions, footex’s and other private trains have been run with new routes and lines being explored often for the first time and in some cases never been repeated. For example, Pathfinder ran a railtour on the 11th September 1999 involving 90150 from Warrington Bank Quay to Birmingham International. There are a number of railways across the UK, which have recently been electrified or will be energised over the next couple of years. This includes the Preston to Manchester route via Chorley and Bolton; Longbridge to Bromsgrove and new lines in Scotland i.e. Alloa and Shotts. Nothing to report at the time of writing - further updates to follow. 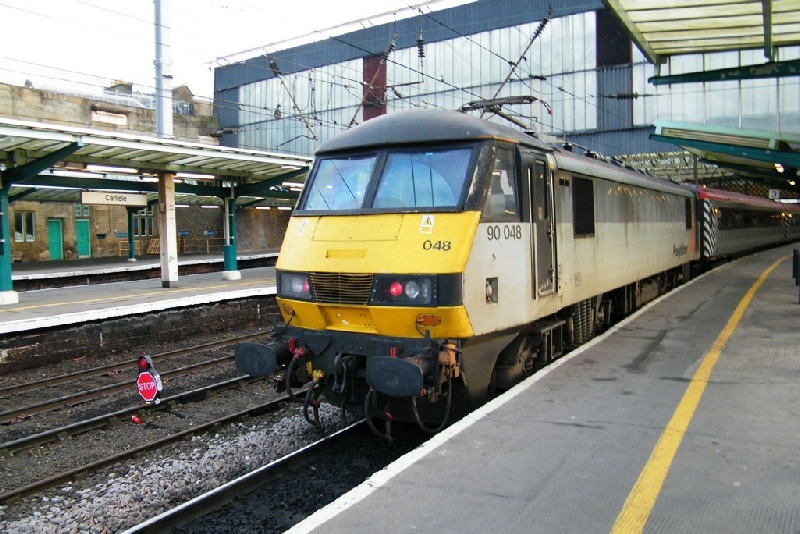 During the 30 year history of the class 90 fleet have worked several railtours, charters, footex’s and other excursion. These destination have often been explored for the first time and some have never been repeated like when 90137 operated a Pathfinder charter out of Stansted. 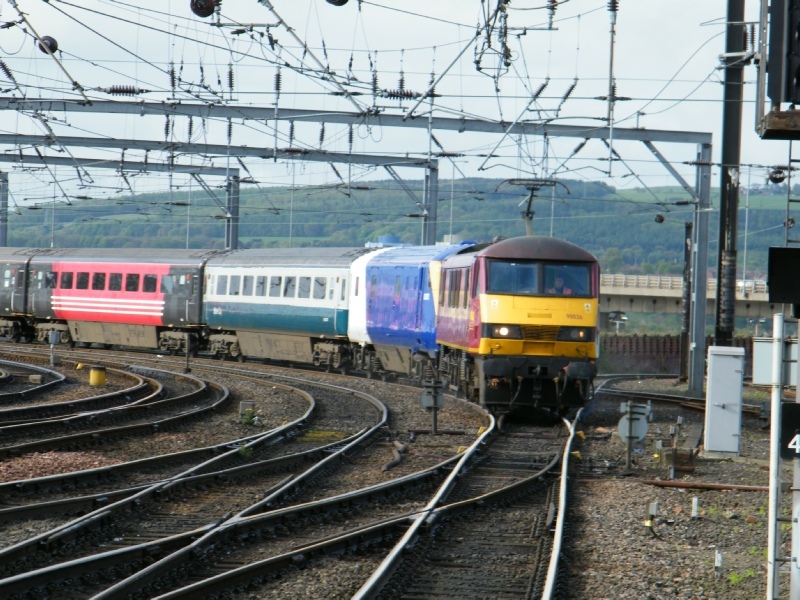 There has been a decline in the number of class 90s seeing action on charters and railtours in recent years. That said a fair few ran during 2011 which featured traction being supplied by DBS to UKR and others in addition to FL90s visiting Glasgow whilst on hire to Virgin Trains in late 2011.